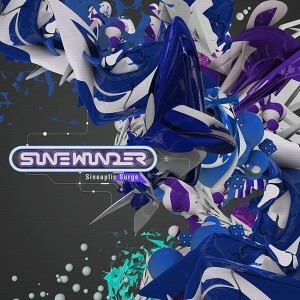 Quantum Bleep Records presents Sineaptic Surge, a riveting collection of 6 remixes, reworks, and edits of tracks by Sinewinder, a Bristol-based project exploring the intersection of progressive psytrance and slinky electro-tinged breakbeat music. Following up on the release of their debut album, Superstring, this outing offers an enticing blend of upbeat dance floor moments with just the right balance of melody and groove. Featuring remixes by Steve OOOD, Vortex Four (AKA John Davidson, one half of Sinewinder), Olmec, and Sinewinder themselves. Mastered by Colin Bennun at the Stooodio with artwork by Sun in Aquarius @ Matik Design. MP3 Download | FLAC Download | WAV Download · Download count: 7,453. This is amazing. So fresh for the ears! I will keep an ear out for this “Sidewinder” in the future! Great tracks! Especially loving the first two.